Boko Haram attacks UN team in Borno, kills 4 – Royal Times of Nigeria. 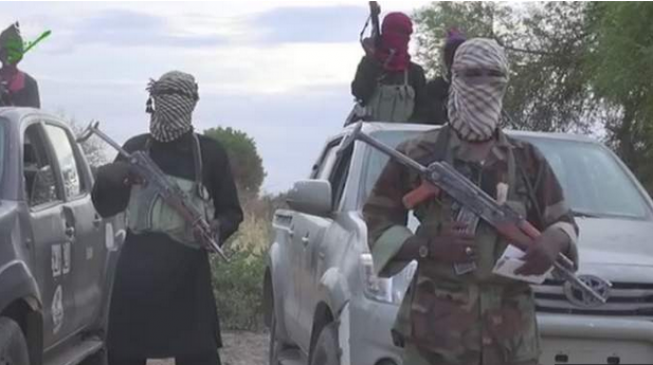 Boko Haram terrorists have killed four persons and hijacked food trucks, after attacking a United Nations World Food Programme (WFP) aid convoy in Ngala, Borno state. Spokeswoman Jane Howard confirmed that the attack took place during the weekend. She said, “WFP can confirm that a convoy escorted by the Nigerian military including WFP-hired trucks was the subject of an attack by armed groups 35 km southwest of Ngala in Borno State on Saturday,”. It could be recalled that last year, the UN suspended aid deliveries in Borno after one of its humanitarian convoy was attacked by suspected sect members, leaving two aid workers seriously injured.